Record and analyze plethysmography data from a variety of body locations. Record pulse rate from the fingers, ears or toes for heart rate calculation or pulse transit time studies. Look at variations in appendage size or blood volume changes to regions of the body to examine venous capacitance, outflow, and compliance measures. For indirect approximation of blood pressure changes, record the pulse signal while occluding and releasing the brachial artery. 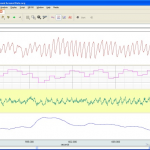 Automated routines are available for cycle/peak detection and rate calculation to measure the area under the pulse waveform for an indication of blood volume. Record indirect blood pressure and continuous noninvasive blood pressure. 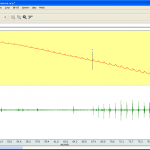 Measure variations in blood flow indirectly via changes in opacity with the plethysmogram transducer (TSD200). A very reliable BPM subject data can be collected with the PPG100C-MRI photoplethysmogram amplifier and associated PPG transducer. It is generally much easier to perform a PPG measurement on a subject, as all that’s required to perform a PPG is an accessible finger or toe. Only one attachment point is required to perform a BPM measurement, using PPG, versus three attachment points (via electrodes), using ECG. 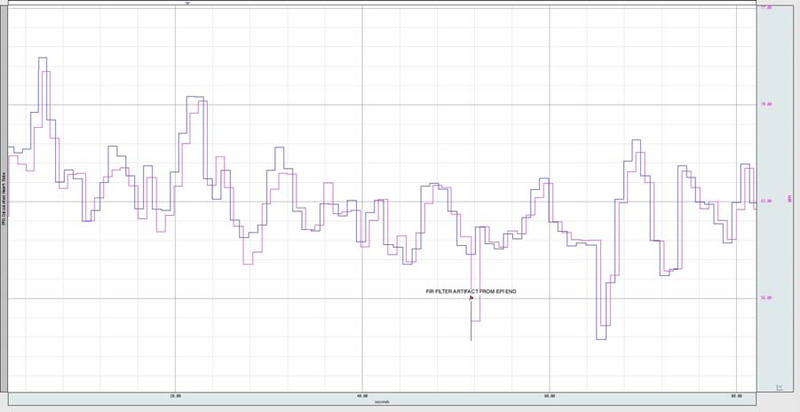 Rate (BPM) can be derived from the PPG signal, using a standard or MRI Smart amplifier signal. 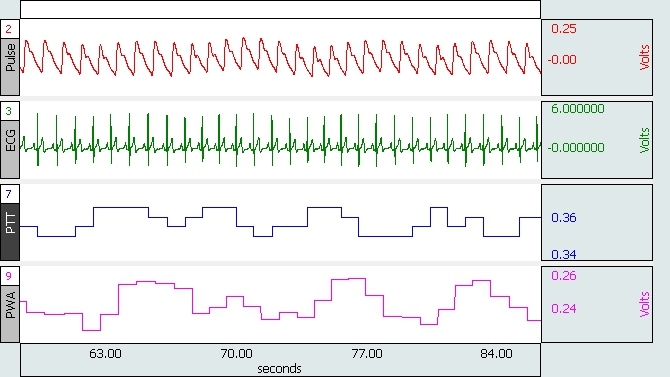 The data is this graph illustrates an overlap comparison of the rate (BPM) data derived from a PPG100C-MRI amplifier as compared to BPM data derived from a ECG100C-MRI amplifier. 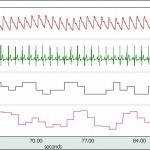 Both the PPG data and ECG data were collected, on the same subject, at the same time. Note that the derived BPM results are very similar, excepting one point which is a result of switching artifact when the 10 Hz LP filter on the PPG100C-MRI amplifier was switched to 3 Hz LP.